Best Hiking Information: What Are You Looking For? The best hiking information is sometimes hard to find, even with our lightning fast technology. 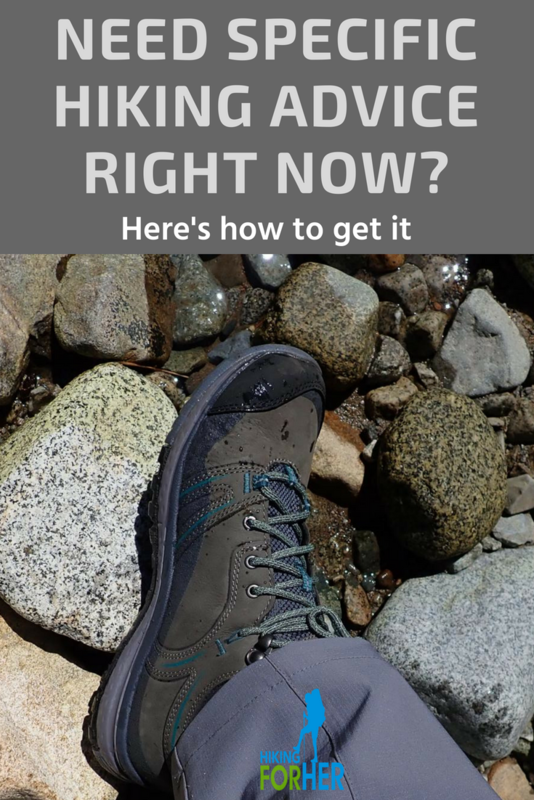 If you've been searching and searching for an answer to your specific hiking question(s), or can't find a solid, detailed explanation to satisfy your quest for the best hiking information that applies to you as a hiker, have I got a deal for you! I understand you will use my information as feedback to write new content or add to existing content on Hiking For Her. I will not be contacted and my information will not be shared or sold. Fill out this simple form to give me feedback on your preferred general topics for more hiking tips and recommendations. Use the comment box on the form to pose something specific. I'll research and craft an article to satisfy your curiosity about hiking gear, outdoor skills, what to wear hiking, how to stay safe on a hiking trail - anything you've got on your mind. I'll put my five decades of hiking experience to work for you! This website has a lot of trustworthy hiking tips, hundreds of pages of the best hiking information for you to enjoy! Use the search box at the top of every page to find out what's already available. But how will you know when the answer to your exact hiking question, or fresh information on your suggested trail topic, has been added? You have 4 options for staying up to date. The Hiking For Her RSS feed signup is available on the navigation panel. It shows the 2 most recent articles I've posted, and also gives you an option for signing up for the RSS feed - sort of your own personal newspaper to stay up on all the newest hiking tips. This is the fastest method of staying current. Every month, year round, Hiking For Her publishes the free Happy Trails newsletter. One feature is a list of the newest articles on this website. It's a fast, easy way to zoom in on the answers to your burning hiking questions! The newsletter sign up box is available at the top of every page on this website. Or you can sign up right in the form above, near the bottom. Rest assured, your information is used only to send the newsletter, never shared or sold. And you can unsubscribe with one click, using the link at the bottom of the newsletter. While you wait for the newest edition, you can access all of the back issues of Happy Trails here. 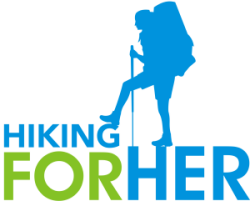 If you're on the hunt for the best hiking gear along with great discounts, coupon codes and sales, PLUS the freshest hiking tips available on Hiking For Her, sign up for a short email from Hiking For Her which arrives every Tuesday morning year round in your inbox. Just as with the newsletter, your email address is used only to send you this weekly update, and you can unsubscribe with one click at any time. There's a sign up box at the bottom of every page. If you're wondering whether I've created new articles on the topics and questions you sent in your form, and you don't want to try those 3 methods of staying current, just drop me a line here. If I'm not out on the trail testing gear or gathering fresh hiking tips, I'll get right back to you! Otherwise, I'll answer your email when I return to my computer. This website was started in 2008 as a way to get more women comfortable on hiking trails around the globe. Too often as women we're told that what we want to do (like have a hiking adventure) is too hard, too unsafe, or beyond our abilities. So dip into this hiking resource and know that with every word I write, I am fully supporting your desire to be a hiker. Your current physical condition does not matter. Your location, your background, your limitations do not matter. That's why I need to hear from you. What are you wondering about that I haven't shared already? Having your suggestions on the hiking information you want to read about makes me smile, because I know that I'm giving you exactly what you need to succeed on the trail. Thanks for taking time to connect!